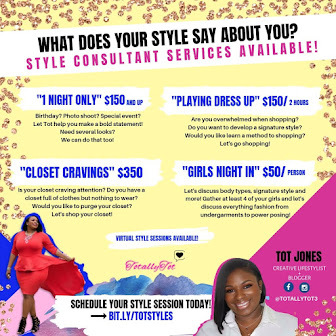 TotallyTot | Creating Innovative Solutions for Everyday Women: 2017 shall be LIT! We are 10 days into 2017 and so far so good! Lol! I have a new understanding of many things so I welcome lessons in 2017. I now understand that learning a lesson is not like Sesame Street. My lessons typically look like a horror film produced by Lifetime TV producers. I mean the way God teaches me lessons seem so dramatic and unnecessary! Geesh! 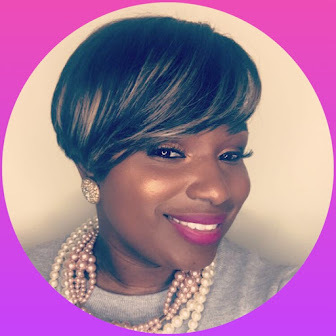 But, I know in order for me to level up, God has to have HIS way with me. I am on a constant quest to surrender it ALL and accept my horror movie lessons. Some things that I have committed to doing this year that I wanted to share here on the blog! I absolutely love devotionals and reading them encourage me to stay focused throughout the day and not to sweat the small stuff. 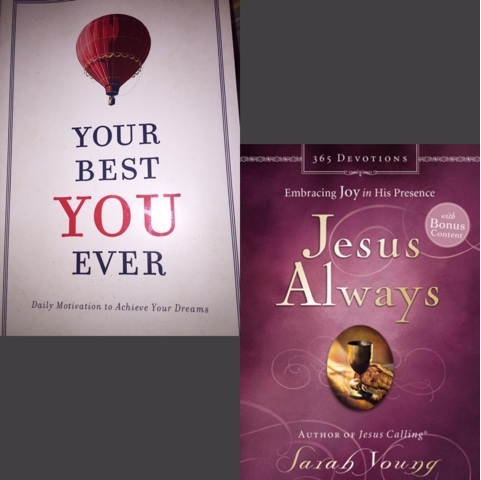 Here are 2 devotionals that I am reading daily for 2017! I am sooooo excited about them. 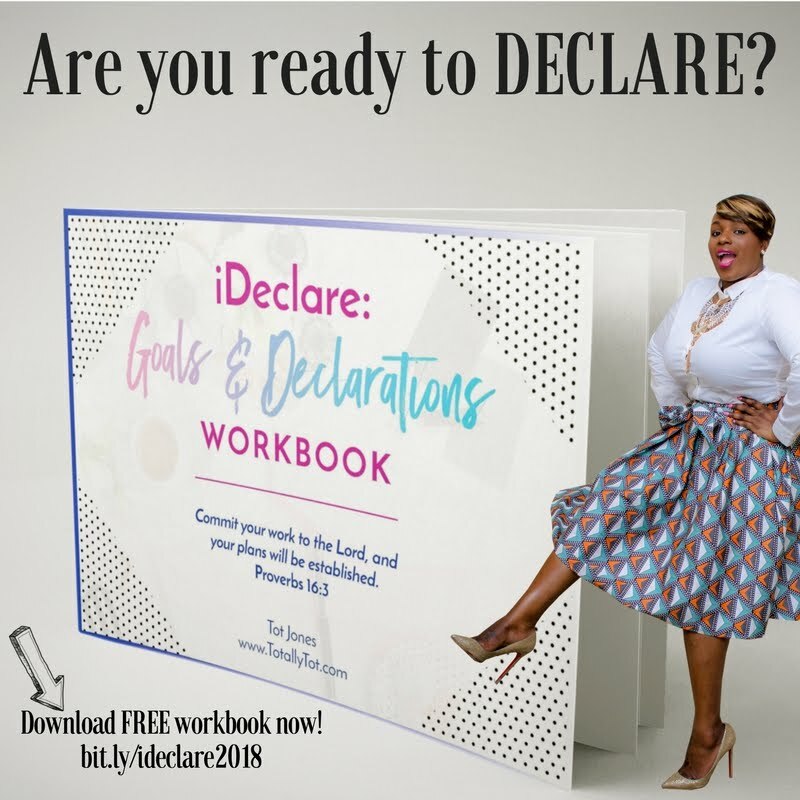 If you follow me on social media, you will see that I occasionally share the daily devotionals. My goal is to invite God in and to quiet the noise and tune into HIM. The other thing that I wanted to share that I have committed to doing is something I like to call “journaling on the go”! There is so much happening and life seems to get busier every day. I love journaling and I have some of the most beautiful journals but to be honest I don't have the time like I used to, to journal the way I want to. 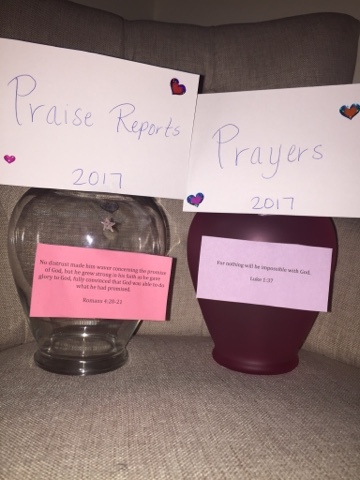 I have a stack of cut up papers next to these vases and I write my prayers down with a date and then I write my praise reports out and just drop them in! So much happened in 2016 and I don't honestly feel like I captured enough of the journey so my goal is to capture more this year. God is doing so much at such a rapid speed that I just want to be able to share my testimony with others. I also want to use the praise reports as a reminder to myself to keep trusting HIM! If He has done it before He can most definitely do it again! Same God right now, Same God back then! I pray that your 2017 is off to a great start!